If you're an exfoliator fanatic like myself, you'll definitely be excited to hear about the new age of 'powder exfoliators'. Instead of whacking these on your face and being good-to-go, these powder alternatives need to be mixed with water to create an all-new exfoliating product, that can be tailored however you like it. I was sent Indeed's Facial Powdered Exfoliator to test a while ago, and after using it religiously for the past few weeks, I thought it was time I shared my thoughts with you guys. Packed with an array of skin-loving ingredients, including bamboo extract, rice bran powder, hyaluronic acid and pineapple enzymes, Indeed's Facial Powdered Exfoliator works amazingly well at polishing the skin, leaving it looking and feeling great. I've tried a lot of exfoliators in my time, and this is by far the best one when it comes to giving your skin that super-smooth feeling. My skin feels so incredibly soft and refined once I've used this, and over time it has definitely helped to improve my skin's texture. I love that you can change up how thick you want the consistency to be (depending on how much water you add), and it doesn't really have a specific smell which is nice if you're not a fan of strong-smelling products. The only negative I have with this product is I'm never too sure if I'm using the right amount of powder - it says to dispense 'two shakes' which doesn't really give me much of an idea considering one shake could technically dispense the entire contents. I think it depends how much product you want to use so I've gotten over the 'two shakes' debacle and just settled to pour a small handful out. 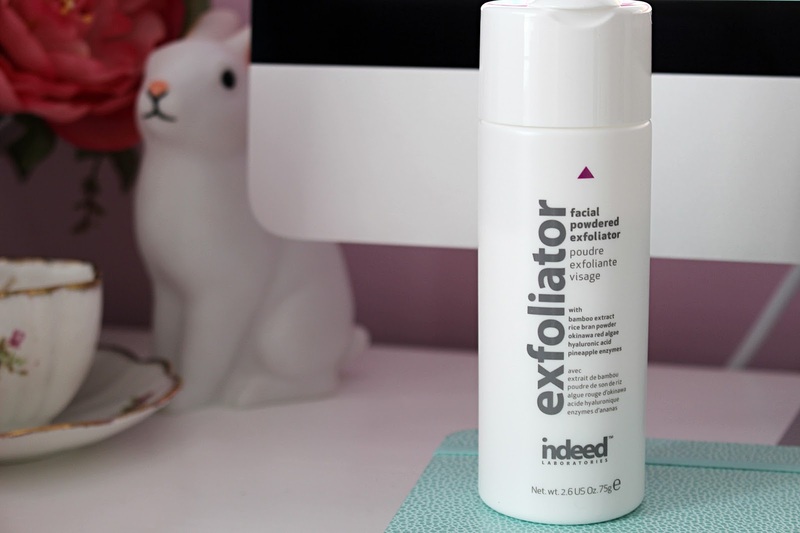 Overall I really love this product, and whilst I'm not sure it's the best exfoliator I've ever tried, it is definitely up there with my top five. What are your thoughts on powder exfoliators? Have you tried Indeed's offering?